Pogo Pass is a membership that provides 12 months of free access to the entertainment venues in your city. Pogo Pass is available in: Phoenix, Las Vegas, Austin, San Antonio, Dallas, and Tucson. Each pass is individualized with the name of the pass holder, the expiration date of the pass, and a bar code for tracking and use. The pass is non-transferable and can only be used by the original pass holder. Save 60 percent on the Austin Pogo Pass – was $124.95 now $39.98 use promo code: DEST. Save 60 percent on the Las Vegas Pogo Pass – was $124.95 now $39.98 use promo code: DEST. Save 60 percent on the Dallas Pogo Pass – was $124.95 now $39.98 use promo code: DEST. Save 60 percent on the Phoenix/Tucson Pogo Pass – was $124.95 now $39.98 use promo code: DEST. Save 60 percent on the San Antonio Pogo Pass – was $124.95 now $39.98 use promo code: DEST. Nine new experiences have been added to the expanded Barcelona Pass, in Spain’s second city. An all-in-one city card lets you save money and time on sightseeing in the Catalan capital. The Barcelona Pass includes more than 20 attractions and tours across the city. Barcelona Pass holders save compared to the cost of individual tickets to attractions, while enjoying fast track entry at selected popular sites. The pass is priced from €109 per adult (about $128) or €69 (about $82) per child for two days; three-day passes are available, and an optional travel card can be purchased for the duration of each pass. Liceu Opera Guided Tour - a 50-minute tour of one of the city's most beautiful and historic buildings and an important opera houses in Europe. Normally priced at €16 (about $19). Casa de les Punxes - opened to the public in 2016 after being closed for more than a century, it is one of Barcelona's most iconic Art Nouveau buildings. Normally priced at €12.50 (about $16). Barcelona Zoo - see live feedings and more than 300 species of wildlife, from giraffes and lions to alligators and Komodo dragons. Normally priced at €19.90 (about $25). CosmoCaixa Barcelona - hands-on interactive natural science and technology cultural centre. Normally priced at €4 (about $5). Museu de Cera de Barcelona - historical figures and pop culture celebrities stand side-by-side at Barcelona's wax museum. Normally priced at €15 (about $19). Cultural attractions such as CaixaForum Barcelona - contemporary art museum located in a former textile factory, Museum of Ancient Egyptian Culture, Museum of Modernism devoted to Catalan modernism, and the Museum of Contemporary Art are included with the Barcelona Pass. The new attractions join city experiences such as a tour of FC Barcelona's Camp Nou football stadium and Gaudí's masterpiece, Casa Batlló, and a hop-on/hop-off city bus tour, and walking tour. Barcelona Pass holders receive special offers and discounts on various tours, retailers and restaurants plus a free guidebook. The Barcelona Pass is available for purchase online and can be shipped globally or collected on arrival in the city. Virgin Australia offers a 12 night trip to Melbourne, Cairns and Sydney, Australia from $2,299 per person based on double occupancy for standard grade hotels. Get to know three of Australia’s east coast cities as you travel from Melbourne in the south to Cairns in the north before ending in the harbor city of Sydney. Choose your own activities to customize your all-inclusive vacation with four nights in each city with time to explore. Dine around Melbourne maybe stopping at the Colonial Tramcar Restaurant. The harbor city of Sydney is next. Cairns is the gateway to the Great Barrier Reef and Daintree Rainforest. U.S. andforeign taxes and fees. The $2,299 per person price is based on weekday travel departures from Nov. 1, to Dec. 10, 2017, and Feb. 1, to Mar. 31, 2018. Travel Friday to Sunday incurs a $55 weekend surcharge per direction. Roundtrip gateway add-ons from other cities include: $190 from Phoenix, Las Vegas, San Diego, and San Francisco. $330 from Austin, Chicago, Cleveland, Denver, Houston, Indianapolis, Milwaukee, Minneapolis, Salt Lake City, and St. Louis. $405 from Nashville, Boston, Buffalo, Charlotte, Detroit, Jacksonville, Memphis, Miami, Orlando, Philadelphia, Pittsburgh, and Raleigh Durham. Down Under Answers or 800/889-1464. If you are thinking about a tropical getaway as winter approaches, the Cook Islands, in the South Pacific, offer a number of deals to entice you. There are 15 islands and the main island of Rarotonga is where your jet lands on arrival. A number of discounts are available. One deal is at the 18 beachside Lagoon Breeze Villas offers five nights for the price of four from $760 for two people. The deal includes a car for one day or a scooter for two days, daily breakfast, use of kayaks, snorkel gear and beach towels and use of the barbecues. On Rarotonga's Sunset Coast across the road from the Aroa Beach & Marine Reserve, Lagoon Breeze Villas offers accommodations from studios to two bedroom villas. All accommodations have air-conditioning, kitchens, separate bathroom shower, hair dryers, use of swimming pool, ceiling fans, screened windows, dining and lounge areas and outdoor decks with dining settings. Top Deck Tours, specializing in tours for 18 year olds to 30-somethings, discounts it Dec. 17, 2017 tour to Israel and Jordan. The 10–day tour drops from $2,495 per person based on double occupancy to $1,747. This trip date is a guaranteed departure. The group size maxes out at 30 participants. Transportation in and around Israel and Jordan is on an air-conditioned minibus or coach. Top Deck Tours or 800/607-1399. Visitors traveling on Cathay Pacific Airways to Hong Kong for three nights or more will have a choice of four free sightseeing tours with a value from $55 to $95 per person. 1. Hop-on Hop-off, Open-top Bus Sightseeing Tour: See the skyline, ancient temples and Victoria Harbor aboard a hop-on, hop-off bus tour. 2. Deluxe Hong Kong Island Combo: Guided tour to the Victoria Peak, Stanley Market and Aberdeen Fishing Village. 3. Old Hong Kong - New Experience: Explore the streets and alleys of Old Town Central. 4. Kowloon Cultural & Life Tour: Visit area landmarks and markets, Nan Lian Garden, Chi Lin Nunnery, the Yuen Po Bird Garden and Nathan Road. Hong Kong Disneyland Hotel Cafe: Roundtrip shuttle transfer from airport to Hong Kong Disneyland Hotel for a lunch or afternoon tea at Walt's Café. 360 Transit in Lantau Island: Roundtrip aboard Ngong Ping cable car with 360-degree views of the Tian Tan Buddha statue and South China Sea, featuring entrance to three themed attractions including Walking with Buddha guided tour. Hong Kong Disneyland Visit: Roundtrip shuttle transfer from airport to Hong Kong Disneyland and one-day park ticket to Hong Kong Disneyland theme park. All travel must be booked and purchased via Cathay Pacific Airways. To opt into the extended-stay program, travel must be booked by Feb. 28, 2018 with travel completed by Mar. 31, 2018. The transit option requires travel booked by May 31, 2018 with travel completed by June 30, 2018 for the special stopover offers. Indus Travel offers a 16-day India and Nepal tour on select dates from $2,390 per person based on double occupancy, which includes roundtrip airfare. The per person price from Los Angeles, Chicago, Boston or Washington for the Apr. 1 and 18, May 9 and 16 and Sep. 12 and 19, 2018 departures is $2,390. Add $100 for New York, Miami, Orlando, Atlanta and San Francisco departures for those dates. A land-only option is $1,390. The tour starts in Delhi, with visits to the old and new city and the Baha’I temple. Then Agra with a visit to the Taj Mahal, Jaipur known as the Pink City as the old city walls and buildings look pink, Pushkar a sacred city for Hindus, and Udaipur the city of lakes and palaces. Fly back to Delhi and then fly to Kathmandu where you drive to Chitwan Nepal’s most visited national park for a full day of activities. Afterwards spend the remaining time in Kathmandu, from where you fly home. International airfare from the U.S. or Canada. 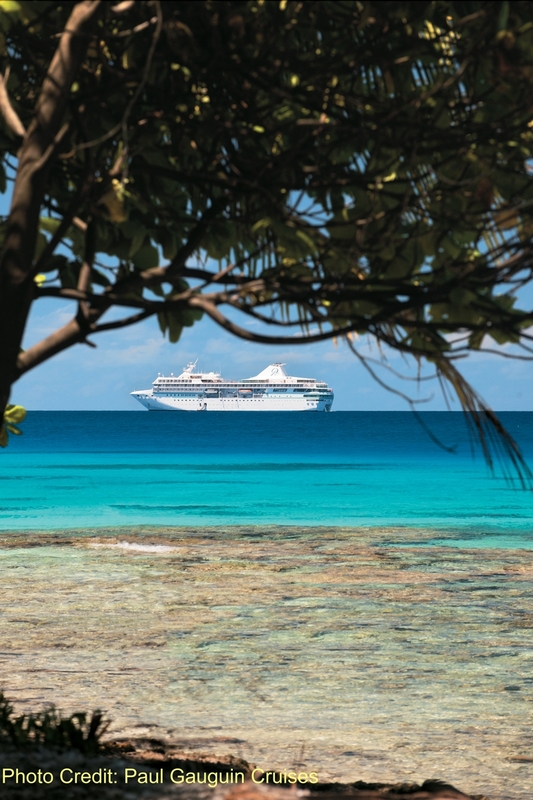 BOOK BY NOV. 11 - - Paul Gauguin Cruises, operator of the m/s Paul Gauguin takes part in Cruise Lines International Association's "Plan a Cruise Month" campaign. This campaign celebrates cruise travel and to inspire you to plan and book cruise vacations. During the month of October, the cruise industry features savings and special offers on cruise vacations. Those who book a 2017 or 2018 sailing aboard The Gauguin during "Plan a Cruise Month" will receive $100 per person shipboard credit which can be used in the spa, purchases in the boutique, or book a shore excursion. Paul Gauguin Cruises also offers savings of 50 percent off standard all-inclusive cruise fares on all voyages, plus included airfare from Los Angeles. To give you a greater opportunity to take advantage of this special offer, Paul Gauguin Cruises extends the booking period until Nov. 11, 2017. The offer is for new bookings only and mention booking code CLIA1002017. The offer may be combined with third guest in stateroom offer and past guest savings but is not combinable with other offers, including Two-Week Sales. Port, security, and handling charges are additional. Maximum $200 Shipboard Credit per stateroom may be used to purchase shore excursions aboard the ship but not in advance of sailing. Roadside assistance calls skyrocket during winter, as cold and snow lead to spin outs and breakdowns. Motorists are urged to prepare vehicles now for the wintry months ahead. AAA rescued nearly 1.1 million Ohio motorists during 2016, despite two back-to-back mild winters. Calls more than double during bitter cold and snowy weather, leaving many stranded as they wait for assistance. A simple fall car check-up can help prevent breakdowns and save time and money this winter. Battery – Starting an engine in cold weather requires a fully charged battery in good condition, yet two-thirds of drivers never check their battery before it dies, according to AAA research. Batteries last an average of three to five. Get your battery tested if it’s three-years old or older. Tires – The cold can decrease tire pressure and make tires susceptible to going flat. Proper tire pressure levels can be found on a sticker located on the driver’s side door jamb. Tire treads helps grip winter roads. Check for low tread depth and uneven wear. Check tire pressure and tread depth at least once a month. Lights and Wiper Blades – These are both essential to visibility when driving during the winter, with shorter daylight hours and winter precipitation. Check all lights, and replace burnt out bulbs. Ensure wipers clear the glass without streaks. Until Dec. 31, 2017, Interrail makes it easier to explore Europe during the winter with the return of Interrail's 15 percent discount on a range of European rail passes. With the 15 percent discount offer, Interrail One Country Passes start at €37 and Interrail Global Passes covering up to 30 countries start at €175. Paired with Interrail's year-round savings such as children travel for free, youth discount for explorers aged 27 years and younger, and a 10 percent reduction for ages 60-plus. Through a single Interrail Global Pass, you can take in Christmas markets in Germany, Austria and Eastern Europe, see the northern lights in Scandinavia, experience the natural wonders of Switzerland, ring in the New Year in London. Interrail Global Passes can be used to travel extensively throughout Europe and offer the flexibility to create your own rail itinerary. The One Country Pass is ideal to see a single European country more in-depth. With the free Rail Planner App, you can move about like a local, hopping on and off trains. Interrail Passes can be booked up to 11 months in advance and are available for purchase online and via local European railways. If you are planning a trip to Germany this winter, you can save up to 20 percent off select German Rail Passes in the Autumn Sale. The five, seven, 10, and 15 Day Continuous and Flexi Passes are on sale. Save five percent on five day Continuous and Flexi Passes. Save 20 percent on seven, 10, and 15 day Continuous and Flexi Passes. Continuous and Flexi Passes are available as Youth, Adult, Twin and Family Passes. You can save 50 percent on the second traveler when you purchase a Twin Pass. A Twin Pass is for two people who must travel together. Both names are printed on a single discounted pass. You must buy your passes by Dec. 7, 2017, for travel by Jan. 31, 2018. Discounted promotional German Rail Passes are non-refundable and non-exchangeable. Only non-European residents can travel with a German Rail Pass, which is only valid with participating train companies. German Rail Passes are available for first or second class train travel. A first class Twin Pass is valid in first and second class. You need to activate your German Rail Pass at a train station in Germany. ANA Airline offers their Experience Japan fare for traveling within the country for less than $100. The pass is valid for travel until Mar. 24, 2018. To use the pass you must make reservations at least three days prior to the departure date and must reside outside of Japan. You can hold a passport issued by any country other than Japan, or be a Japanese passport holder with permanent residency outside of Japan. And lastly, you must have an international return ticket (on any airline), with the first leg of the journey originating from outside of Japan. The fare for routes within Hokkaido(Sapporo=Wakkanai, Memanbetsu, Nemuro Nakashibetsu, Kushiro, and Hakodate)is JPY 5,400, or approximately $50. Routes outside of the ones listed above are JPY 10,800 or approximately $99. Seats are limited and may not be available on all days or on all flights. Accrual Rate for basic mileage is 100 percent and the free baggage allowance is 20kg. The Japan Rail Pass is a joint offering of six companies comprising the Japan Railways Group (JR Group) and an economical way of traveling throughout Japan. There are some restrictions on use; for example, Japan Rail Pass cannot be used for travel on Nozomi and Mizuho trains on the Tokaido, Sanyo, and Kyushu Shinkansen lines. Visit Japan from abroad for sight-seeing as a "temporary visitor" with entry personnel stamping your passport as such. To receive or use a Japan Rail Pass, your passport must bear this stamp or sticker. Japanese people living abroad who have their Japanese passport and written proof—obtained from the embassy or legation of Japan in the foreign country where they live legally for 10 consecutive years or more. Purchase your Japan Rail Pass before coming to Japan as an Exchange Order. After you arrive in Japan, turn in your Exchange Order for a Japan Rail Pass at an exchange office in a major JR station. You can make seat reservations at a “Midori-no-madoguchi” (ticket office) or to the sales office of a JR-associated travel agency. There is no additional charge for making a seat reservation. Show your pass and get your reserved-seat ticket before the boarding. Some “Nozomi” and “Mizuho” require an additional charge. Seat reservations cannot be made at unmanned stations or stations without reservation capability. Shinkansen, most limited express and ordinary express trains have reserved Green Car seats and reserved and non-reserved ordinary car seats. There are no Green Cars on most “HIKARI” and “KODAMA” trains on the Sanyo Shinkansen line (Shin-Osaka—Hakata), or on Series 800 trains on the Kyushu Shinkansen line. Some trains have all reserved seating. A non-reserved seat (except for “NOZOMI” and “MIZUHO” trains on the Tokaido, Sanyo and Kyushu Shinkansen) can be used by showing your Japan Rail Pass. YMT Vacations offers their 12-day, escorted tour of Ireland from $1,399 per person after the discount, plus $299 per person in taxes and fees. The regular price was $1,649 and seasonal surcharges apply. You must book by Nov. 30, 2017 to save $250 per person with the Instant Rebate. Mention promo code I7018. The tour includes sightseeing, accommodations and some meals. Add-on airfare is available. Accommodations include two nights in Dublin, one night in Waterford, two nights in Killarney, one night in Galway, one night in Sligo, two nights in Belfast and your final night in Dublin. Meals include a welcome dinner in Dublin; breakfast each day (10 total);	dinners in Killarney, Galway, Sligo and Belfast; and a farewell dinner in Dublin. Sightseeing includes the Rock of Cashel, Waterford Crystal Factory, Blarney Castle, Ring of Kerry, Bunratty Castle, Cliffs of Moher, Kylemore Abbey Ulster American Folk Park, Giant's Causeway and Titanic Belfast. Save up to $800 per couple with Smartours Great Cities of Eastern Europe tour. Departures are on select weeks Apr. 21 through Aug. 18, 2018. You must reserve by Nov. 16, 2017, to qualify for the early booking discount. Space is limited. The 15 days tour, which includes airfare and taxes, is sale priced at $2,899 per person based on double occupancy. The price goes down to $2,799 when paying by check. The $2,799 price is based on the Apr. 21, 2018 departure. A single room supplement is $599 additional and a roundtrip business class upgrade from JFK airport in New York to Helsinki is $3,495 additional. English speaking tour director and local guides. Tour highlights include the Tomb of the Unknown Soldier in Warsaw, Auschwitz Concentration Camp, Matthias Coronation Church in Budapest, Danube Bend, Cathedral of St. Stephen’s in Vienna, Charles Bridge in Prague and a Helsinki tour. Tour operator Cosmos discounts its 2018 10-day Sicily Discovery tour, starting from $1,309 per person, based on double occupancy. The $1,309 price is valid for the Mar. 18 and 22, 2018 departures. The $1,309 price does not include airfare. The tour starts and ends in Rome with visits to Sorrento and a ferry ride to the Taormina area of Sicily. Stops include Casale, Agrigento, Selinunte, Marsala, Trapani, Erice, and Palermo, taking an overnight ferry from Palermo to Naples and lastly return to Rome. Sightseeing includes visits to Rome, Sorrento, Taormina, Piazza Armerina Roman Villa, Selinunte Acropolis, Erice, Marsala and views of Mount Etna. Local Guides for city sightseeing are provided in Agrigento archaeological site, Trapani, Palermo and Naples with a tour director while touring. Tours are in a private, air-conditioned motor coach and two berth cabins on the overnight ferry from Palermo to Naples. Breakfast is included daily except on day nine and three dinners are included. According to the U.S. Department of Transportation, the holiday period between Thanksgiving and New Year’s Day is among the busiest travel time of the year. Whether flying or driving this holiday season, Better Business Bureau has tips to help avoid headaches along the way. If driving this year, the National Highway Traffic Safety Administration recommends getting your car serviced before you hit the road. Prepare for inclement weather, like snow or ice, and make sure your vehicle has been thoroughly checked by a trusted mechanic. Leave on an off day. If you leave on the actual holiday itself, you can avoid some traffic or long lines and large groups of travelers at the airport. The busiest traveling time is usually the night before a big holiday. Research last-minute travel deals. Bargains on airfare or a hotel may be tempting, but be cautious when booking on an unknown travel website or through an online advertisement. Be sure you understand all anticipated charges to help you compare prices with confidence. Pack light. If you are traveling by plane, it could be a good idea to avoid checking a bag all together. If you must, make sure you know your airline’s policies on how much your luggage can weigh and the cost of checking a bag. Create a vehicle safety kit. Basics for the kit include: blankets, flashlight with extra batteries, radio, first aid kit, jumper cables, non-perishable foods like granola bars and nuts, bottled water, ice scraper and warm gloves. Mail gifts early. Transportation Security Administration (TSA) recommends that airport travelers ship their gifts before they leave, or pack them before they are wrapped. For security reasons, gifts may be unwrapped and inspected. Avoid public Wi-Fi. Using free Wi-Fi is convenient, but unsecured networks leave you vulnerable. While in restaurants, rest stops, or the airport, avoid giving your personal or payment information in Wi-Fi zones that are public or do not require a password. Be wary of extra fees. Most airlines accept pets if they are kenneled, but the charge is usually around $100. Remember that travel plans may change, but your travel cost was determined by your original departure and arrival times. Changing your plans may cost you extra, especially during the holiday travel season. WOW air, Iceland's low cost transatlantic airline, offers $99 one-way fares to Amsterdam, Brussels, Frankfurt, Dublin, Edinburgh, Stockholm, and Copenhagen from Boston, Washington, D.C., New York, Pittsburgh and Chicago. In addition, travelers from Los Angeles and San Francisco can fly to those same European destinations from $119 one-way. For a limited time, $99 tickets will be available from Boston, Washington, D.C., New York, Pittsburgh, and Chicago to Amsterdam, Brussels, Frankfurt, Dublin, Edinburgh, Stockholm, and Copenhagen, via Iceland. Tickets from Los Angeles and San Francisco to the aforementioned destinations will be available for $119. The offer applies for 1250 seats on selected flights, only when booked on a return trip. Fares can be purchased online. The reduced one-way fares will be offered for flights departing November through Dec. 13, 2017. November and December bring Christmas markets to Europe where you can experience the sense of community and holiday spirit these open-air markets offer, plus shopping and seasonal food and drink. The Winter Wonders event in Brussels, Nov. 24 to Dec. 31, 2017, features a Christmas Market with 200 chalets, a Ferris wheel, merry-go-rounds, an ice rink, and a sound and light show. Stalls sell handcrafted goods, food, and mulled wine. With the WOW air Stopover option in Reykjavik, you get the chance to stay and possibly view the Northern Lights, which are typically visible during the fall and winter months. More travelers are going solo, including solo cruises, an experience that’s traditionally priced for couples. Star Clippers waives its single supplements on select 2018 Mediterranean and transatlantic sailings, making solo cruising an affordable option. Single supplements will be waived on 2018 Mediterranean sailings ranging from five to 14 nights on board the Royal Clipper and Star Flyer. Examples include a five-night Spain and Morocco itinerary on the Royal Clipper from Lisbon to Malaga, and a 12-night version that goes on to the Balearic Islands, Corsica and Cannes. Rates range from $1,385 for the five-night to $3,030 for 12-nights. On the Star Flyer, a seven-night French Riviera sailing starts at $1,690. For solo travelers looking for longer journeys, Star Clippers has waived the single supplement on two transatlantic sailings: the 20-night Eastbound Crossing, from St. Maarten to Lisbon aboard the Star Flyer with rates from $2,350. Or the 28-night Eastbound Crossing aboard the Royal Clipper from Barbados to Cannes with stops in the Azores, Portugal, Morocco, Spain, the Balearic Islands and France with rates from $4,020. Star Clippers operates three sailing vessels: Star Clipper and Star Flyer are traditional clipper ships with modern amenities carrying 170 guests, while the 227-guest Royal Clipper is the largest and only five-masted, full-rigged sailing ship in service. All three ships have teak decks, swimming pools, informal dining, tropical bars on deck and piano lounges. The brand’s newest vessel, Flying Clipper, will debut in Fall 2018. Travelers age 62 and older receive a 15 percent discount on the rail portion of an Amtrak Vacations package. Valid government issued ID may be requested as proof of age. The senior discount is not applicable for travel on Amtrak Auto Train, USA Rail Pass, nor certain connecting Amtrak Thruway services. The discount is available on Acela Express trains on weekends only. On cross-border services operated jointly by Amtrak and VIA Rail Canada, a 10 percent senior discount is applicable to travelers age 60 and older. The Central Ohio Transit Authority’s (COTA) CBUS is Columbus, OH’s free downtown circulator. It helps you travel north and south through the downtown area without needing a car. It travels from the Brewery District through downtown to the Short North and back again. CBUS runs every 10 to 15 minutes, seven days a week. CBUS operates Monday to Thursday 7 a.m. to 9 p.m., Friday 7 a.m. to 12 a.m., Saturday 9 a.m. to 12 a.m., and Sunday 10:30 a.m. to 6 p.m. CBUS does not operate on New Year’s Day, Thanksgiving and Christmas Day. CBUS is within walking distance to downtown hotels such as the Comfort Inn & Suites, Courtyard, Crowne Plaza, Doubletree Suites, Drury Inn & Suites, Hampton Inn & Suites, Hilton, Holiday Inn, Hyatt Regency, Red Roof PLUS+, Renaissance Hotel, Residence Inn, Sheraton, The Joseph, The Lofts and Westin. Taking CBUS puts you in walking distance of points of interest such as German Village, the Southern Theater, the Cultural Center, Riffe Center, Ohio and Palace Theaters, COSI, City Hall, Huntington Park, Nationwide Arena, the Convention Center and the North Market. If you fly into Columbus, COTA has Air Connect direct bus service between downtown and John Glenn International Airport. The service comes to your stop every 30 minutes, 6 a.m. to 9 p.m., seven days a week for $2.75 per ride. Air Connect has stops at most of the same downtown hotels as CBUS. Buy tickets from COTA’s Ticket Vending Machines at COTA Pass Sales 33 N. High St., North Terminal 33 W. Spring St, John Glenn International Airport at the Arrivals/Passenger Pick-up Level, at Experience Columbus Visitor Centers or pay cash on the bus.